I swear Jenalyn and I could have been friends for years before actually meeting. When we sat down for the first time, we gabbed for about 2 hours with no breaks, it was exactly like catching up with an old friend. I love when I have a connection like this with a client. Both Tom and Jenalyn are originally from Philadelphia, Pennsylvania. Tom first pioneered out to Arizona and Jenalyn followed shortly after. There is a super cute story behind that but you will have to wait till the wedding blog to hear that one. When we talked about a location they both said their dream was a true desert landscape with a lot of cacti. So we ventured up to Lost Dutchman Park at the Superstition Mountains. 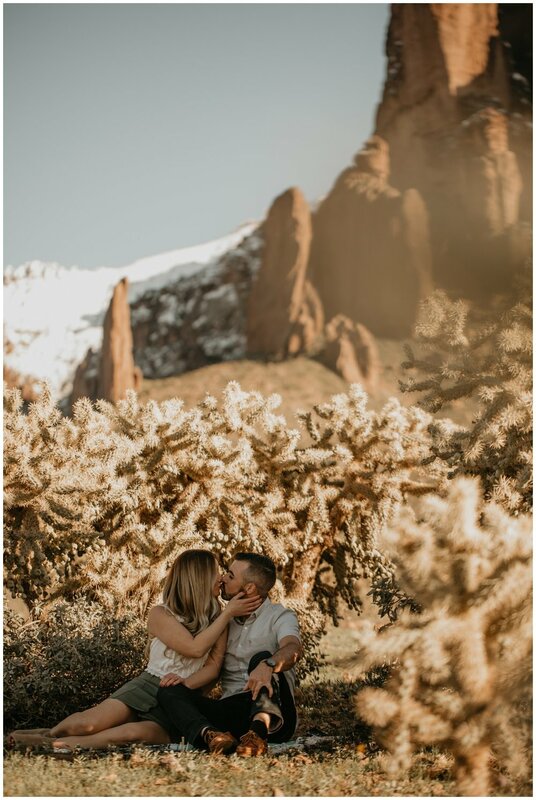 A few days before our scheduled shoot phoenix and the surrounding area got a ton of snow that surprisingly stuck around for a few days and as you scroll through these photos you will actually see snow on the tops of the Superstition Mountains. 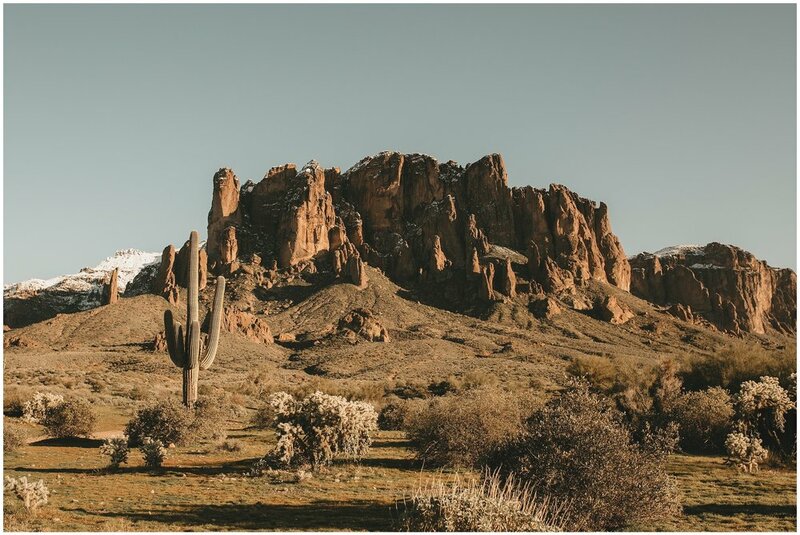 I thought it was gorgeous but not being from Arizona I was completely unaware at how rare these photos ended up being. 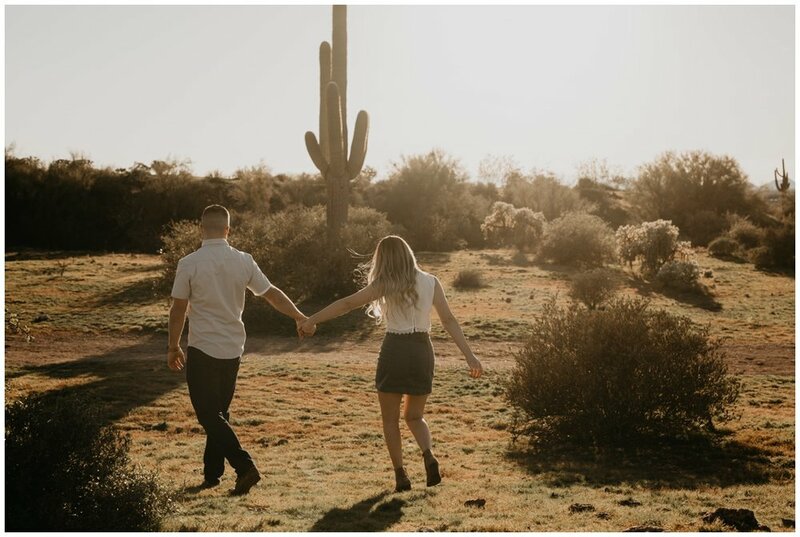 Jenalyn and Tom ended up with some incredibly unique engagement photos out of fate. That must just mean everything has fallen into place for them. I can't wait to watch these two sweeties get married and furthermore I can't wait to watch their lives grow together. You guys are some wicked individuals. I'm so happy you’ve let me into your story!